In many ways, Texas mortgages are quite similar to mortgages in any other state. An abundance of lending companies wait to pounce on any potential homebuyer expressing an interest in applying for a mortgage loan. The state of Texas also has some unique mortgage regulations, however; so consumers living in Texas should be aware that not every mortgage lending ad necessarily applies to them. Some people are surprised to find that the bank or credit union they use for their usual banking needs has a mortgage department, and for many potential borrowers, this is good news because they would like to work with a lender with which they are already familiar. Not everyone can qualify for a mortgage loan through a bank or credit union though; these sorts of lenders generally approve applicants with good credit scores and deny the rest. This usually results in very little wiggle room for adjusting interest rates based on credit scores. On the other hand, Texas mortgage companies specialize in these sorts of applications and often have loan products for people with less than perfect credit. Texas brokers also specialize in finding lenders who will approve loans even in situations when the applicant's credit rating is undesirable or in other unique situations such as self-employed applicants. Self-employed applicants often have difficulty qualifying for a loan because income verification can be a headache. Outside of Texas, there are lenders who lend beyond the CLTV, allowing some borrowers to take out second or even third mortgages, resulting in a CLTV of up to 110 percent. This means the borrowers owe more money on the home than what the home is worth. Texas mortgages, however, are not allowed to exceed 80 percent combined loan to value with equity loans and equity lines of credit. In fact, some lenders will not even offer equity products for Texas refinances because of the state's complex restrictions. 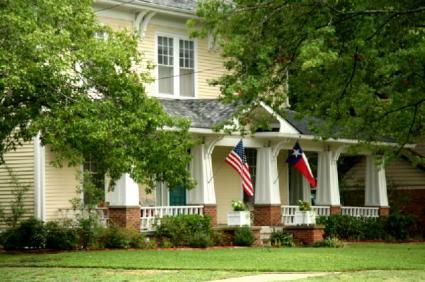 Before applying for any sort of mortgage loan or refinance product with a national lender, it is important to make sure the lender understands the applicant resides in Texas; otherwise, the applicant may be counseled to apply for certain loan products for which they are not eligible under Texas regulations. Normally, the Texas mortgage application process works like any other mortgage. If the loan is for a home purchase, it is best to first secure financing before finding the appropriate home. If the loan is for a refinance, take the time to conduct a brief market analysis of the home's value first. Otherwise, you may wind up halfway through the approval process only to find out that the CLTV is too high after the home is appraised. A market analysis is easy to do. Simply compare the sales prices of surrounding, comparable homes. Many real estate agents will conduct market analyses at no charge, and there are websites which have fairly accurate information regarding home values. It is a good idea to do a little research before applying for a mortgage loan or a mortgage refinance, especially with all the regulations attached to Texas mortgages.